We like to build a relationship with our clients. We get a lot of feedback and we like to ask a lot of questions to see how we can be better. We like to get a feel for the thought processes of our clients. We find the same barriers to hiring a Virtual Assistant time and time again. Maybe you feel this way right now? Often when new clients come to us we find that they are at their wits end. They have been so consumed with micro-managing their own startup or small business that they have forgotten the reason why they started in the first place. Entrepreneurs are passionate people. They love the cut and thrust of getting a business out there, making money and changing things. When we speak to them, often they have been struggling along for ages. The monotony of red tape and administration sucking the life out of their passion. We like to build a relationship with our clients. We get a lot of feedback and we like to ask a lot of questions to see how we can be better. We like to get a feel for the thought processes of our clients. We find the same barriers to hiring a Virtual Assistant time and time again. Maybe you feel this way right now? Hopefully, we can address your concerns right now and help you take the next step to boosting your productivity. If you have built your business from the ground up then you’re absolutely right. Nobody expects a Virtual Assistant to know everything there is to know about injection moulding processes for the manufacture of your latest invention. But in business, “no person is an island.” An entrepreneur need to build a strong team around them to push forward towards their objectives. You know your business inside out, an Accountant knows financial administration inside out. A Virtual Assistant knows business administration inside out. Vi-VA have worked with small businesses for years. We understand the challenges of an entrepreneur and we offer a wealth of advice to clients about software and productivity tools. If you put the whole business on your shoulders then you’ll likely burn out and lose all enthusiasm for your business. Every business is unique, but business administration can be strikingly similar across all sectors. A good leader should learn to delegate well. 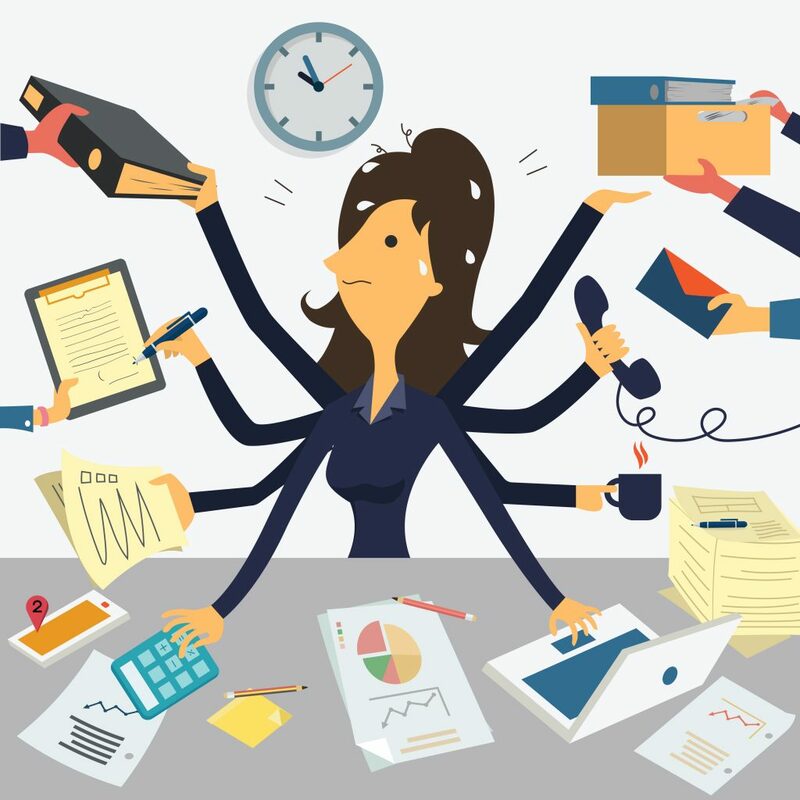 Your Virtual Assistant can take these administration tasks and allow you to leverage your time to focus on the detail that makes your business unique.